A Jerusalem Synagogue Building from Jesus’ Time? 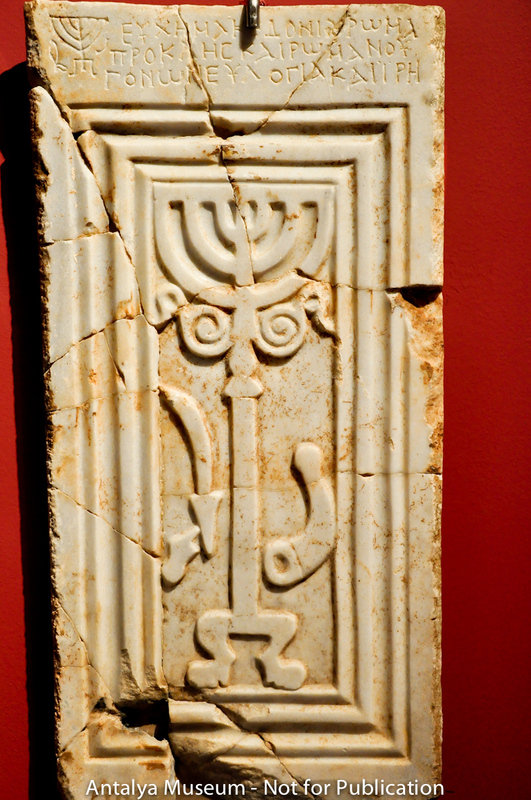 In 1913 Raymond Weill excavated in the “City of David” and found a large limestone block—ca. 30 in. 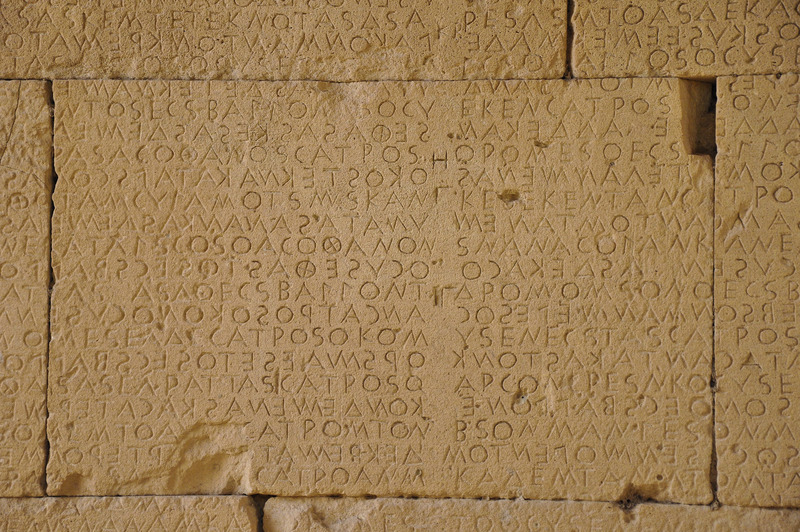 x 16 in.—that contained a clear 10 line Greek inscription. 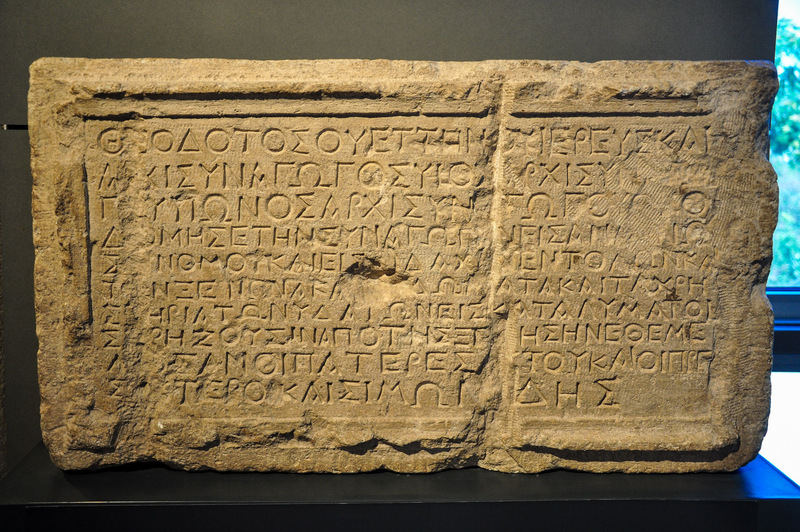 “Theodotus Synagogue Inscription” found in Jerusalem. Click on image to Enlarge and/or Download. 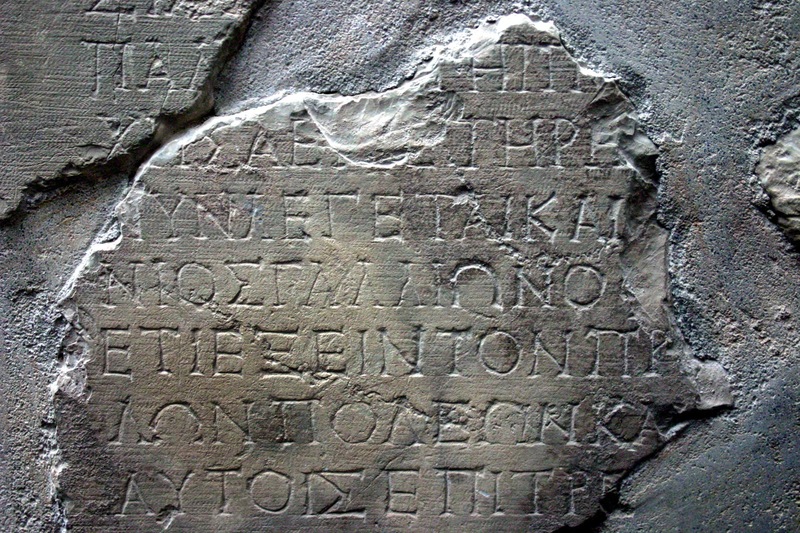 Most scholars date the inscription to prior to AD 70—that is before the destruction of the Temple in Jerusalem. If this dating is correct, then this inscription provides clear contemporary evidence of at least one synagogue building in Jerusalem even while the Temple was still standing! The term “synagogue” is used 43 times in the Gospels in association with the ministry of Jesus. In one instance, Luke 7:1–8, there is a clear reference to a building—not merely a “gathering.” But archaeologically, not many first century AD synagogue buildings have been found—thus the importance of a synagogue building being mentioned in this first century inscription. According to this inscription it is also clear that the Torah was read and the “precepts” were studied (= teaching of the commandments) in the synagogue. Note, that there is no mention of prayers and/or singing! Note too that neither praying nor singing are mentioned in Jesus’ experience in the synagogue in Nazareth (Luke 4:16–30), nor in Paul’s experience in the synagogue of Pisidian Antioch, ca. AD 37 (Acts 13:14ff). In addition there was an “inn” with auxiliary rooms and installations near the Jerusalem synagogue. This was for the use of Jewish pilgrims from “abroad”—note the 15 different people groups that were in Jerusalem on Pentecost (Acts 2:7–12). 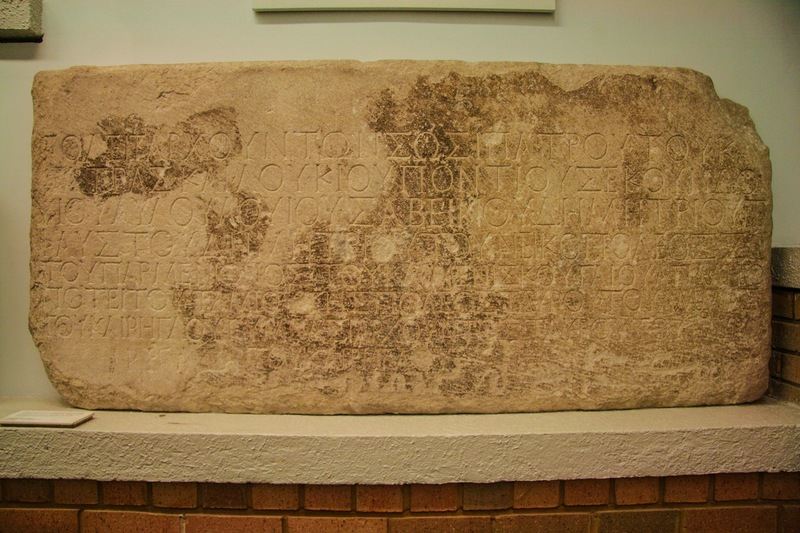 For an accessible discussion of this inscription see: Fant, Clyde E., and Mitchell G. Reddish, “Theodotus Synagogue Inscription,” pp. 358–60. Lost Treasures of the Bible — Understanding the Bible Through Archaeological Artifacts in World Museums. Grand Rapids, MI: Eerdmans, 2008. They also have provided a translation of the inscription on page 358. 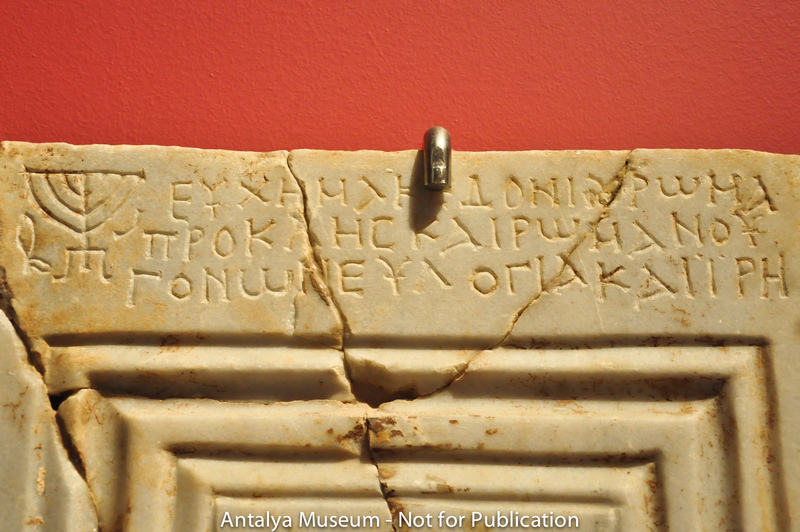 For a detailed discussion of this inscription see: Kloppenborg, John S. “The Theodotos Synagogue Inscription and the Problem of First –Century Synagogue Buildings.” Pages 236–82 in Jesus and Archaeology. Edited by James H. Charlesworth. Grand Rapids, MI: Eerdmans, 2006. 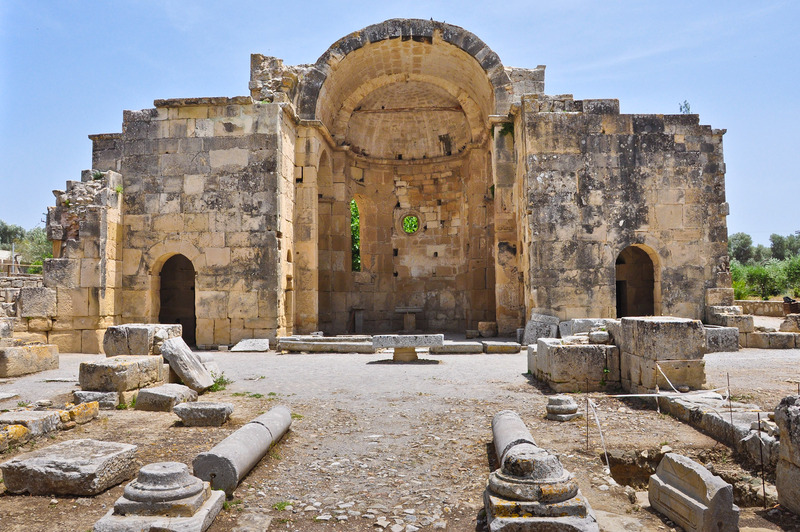 Gortyna was the capital of a Roman province and the seat of the first Christian bishop of Crete. During the Roman period it was the chief city of Crete—its population may have reached 100,000 people. The site is huge—its city walls are about 6 mi. long! Many believe that Paul made a Fourth Journey (not recorded in scripture) after his first Roman imprisonment and in the process visited Crete. According to Titus 1:5 Paul left Titus on Crete to deal with some church affairs that were still outstanding. The Basilica of St. Titus at Gortyna preserves the memory of Titus’ ministry on the island (Titus 1:5). 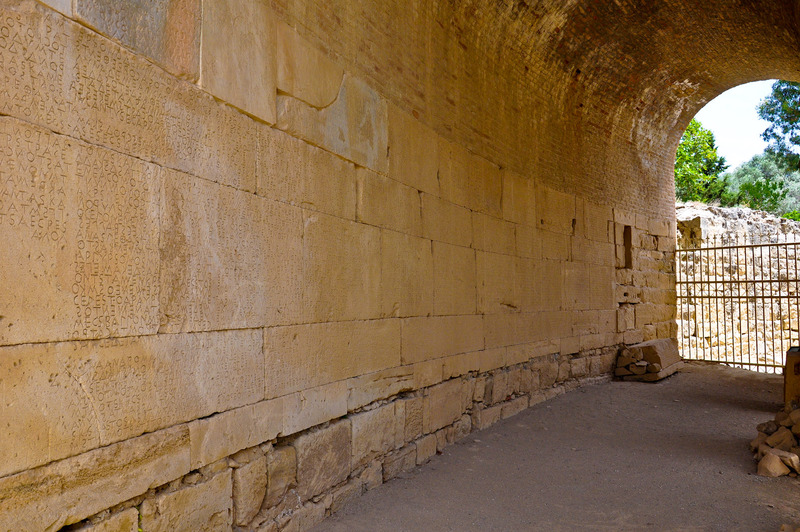 Outer Corridor of the Odeon at Gortyna that uses stones from the Fifth Century B.C. Law Code for its walls! Many of the original stones are now reused in a wall of the second century Odeon at Gortyna. At the times of Paul’s and Titus’ visits the code would have been in its original format. To view additional images of Gortyna Click Here. For introductory information on Paul’s Fourth Journey see the map and commentary by 1 Timothy 2 in The NIV Study Bible and the Introduction to Titus. 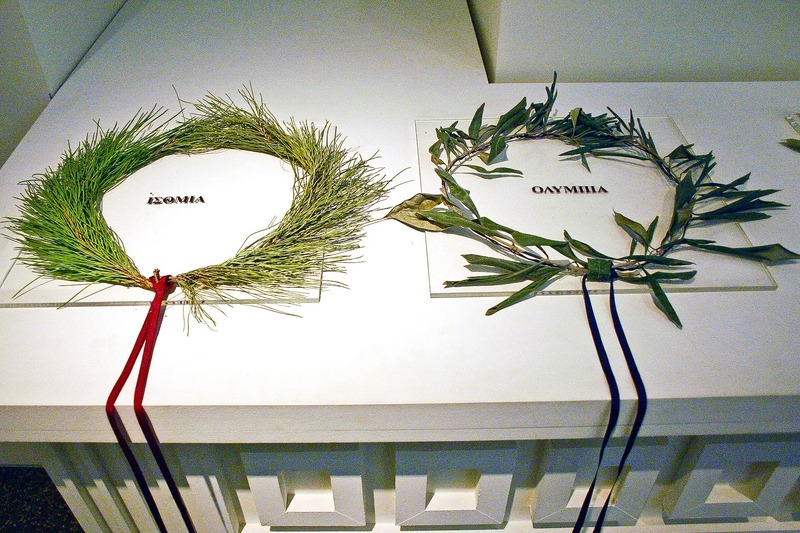 The Winners’ Prizes — Dead Vegetation? In a previous entry I shared some pictures related to “Running the Race.” The winners of such competitions were awarded, among other things, victory crowns—the composition of which depended upon the games.